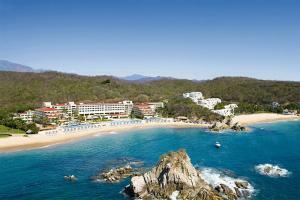 The living is easy in Huatulco, Mexico, with the calm presence of a passing ship or low-flying cloud. 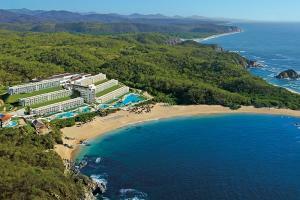 Located on the magnificent Pacific coast of Mexico in the southern state of Oaxaca, Huatulco is the southernmost tourist destination in the country. Huatulco, Mexico Our 4.5-Star classification designates those properties with well-appointed, deluxe accommodations, extensive amenities and comprehensive guest services. Expect attention to detail and a warm and hospitable staff ready to cater to your needs. These superb properties offer a truly refined getaway. Half star indicates that the hotel/resort meets all criteria of the designated rating and exceeds in certain areas. All-Inclusive - Carved into the foothills bordering Conejos Bay, this adults-only resort features premium accommodations and spectacular views. Huatulco, Mexico Our 4-Star classification designates those properties with well-appointed, deluxe accommodations, extensive amenities and comprehensive guest services. Expect attention to detail and a warm and hospitable staff ready to cater to your needs. These superb properties offer a truly refined getaway. All-Inclusive - Situated on beautiful Tangolunda Bay, this resort overlooks the dazzling beaches and sapphire waters of the Pacific. Huatulco, Mexico Our 3-Star classification designates those properties where guests experience an ideal mix of comfortable accommodations and modern amenities. Most of these hotels feature a variety of services, and offer distinguished style and comfort. 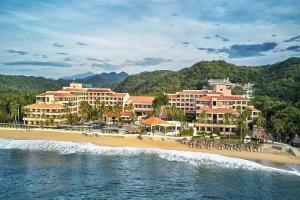 All-Inclusive - This family-friendly hotel is set on a magnificent beach on the largest of Huatulco's nine bays.